Can't find a builder who cares as much as you? Getting quality work done at the beach can be hard. That’s why for 10 years, we’ve been matching home owners with specially-approved contractors to build the outdoor sanctuaries of their dreams. You deserve a job well done. Get some ideas from finished projects in our Inspiration Gallery. I came to Palmettoscapes Landscape Supply with a “Dream” of what I wanted my Driveway and Outdoor Living Space to be. The knowledgeable staff at Palmettoscapes Landscape Supply guided me through the process. From picking out the product from their large, in-stock inventory to referring a quality contractor for the installation. Palmettoscapes Landscape Supply had my back the whole way through. It's not very often you get exactly what you want. It's gonna feel so good when we deliver it. I love working in the yard and always have a project going on. Palmettoscapes Landscape Supply is my one-stop-shop for all of my Outdoor Living Needs. I know I can always count on the staff at Palmettoscapes Landscape Supply to have what I need or direct me where to find it to keep my projects moving forward in a timely manner. Great place to do business! At Palmettoscapes, we know that you want to be completely satisfied in your home. But your home doesn’t stop at the back door. 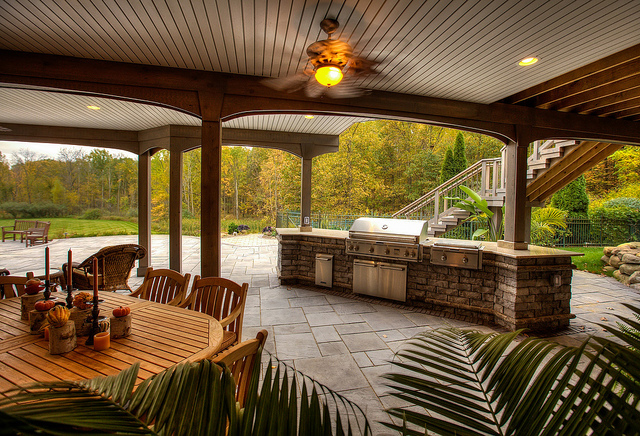 You need an outdoor space that puts you at ease as much as any indoor space you have. The problem is, it’s frustrating trying to find the right contractor to build it. It doesn't have to be such a hassle. You need an outdoor space that puts you at ease. It doesn't have to be such a​​​​ hassle. We know how hard it is to get quality work done at the beach. Which is why for nearly 10 years, we’ve been matching Grand Strand residents with quality-approved contractors and materials to build the outdoor sanctuaries of their dreams. Our Perfect Fit Process is designed to match you with the right contractor, perfectly fitted to your style and your priorities, so you can rest easy during the project, not just after it’s finished. O​​​​ur Perfect Fit Process is designed to match you with the right contractor. You can rest easy during the project, not just after it's finished. Stop wasting time and money trying to find the right builder and instead, sit back and relax knowing the materials and craftsmanship you’ve chosen will have you sipping cocktails around the firepit in no time. Searching for a good builder is time-consuming, and you never know what to expect until the job is done. But too many times, the job doesn’t get done. Or worse, it's done poorly and you have to hire someone else to fix it, wasting more of your time and your money. You deserve better. Creating a space to relax shouldn’t be a hassle. Come see just how relaxing it can be.